All devices connected to the Brain support Event Programming. This simplifies the software by allowing events to trigger software. Traditional programming methods involve continuous running loops that check values over and over again, looking for a change. This method creates code that is difficult to visualize and learn. Event programming looks like: "when the button is pressed do ...", "when the angle is 90 degrees do ...", "when the motor stops do ...". Instead of constantly polling each device to see if the event has occurred, the VEX IQ system allows each smart module to report back if the event occurs. When the event occurs, the smart module tells the brain what occurred. Not only is software simplified, but the Brain does not have to constantly poll each sensor about what is happening, which increases overall system performance. The Robot Brain uses the latest Texas Instruments Tiva microcontroller running at 80 MHz to perform 100 million operations per second. The brain has to simultaneously communicate with the controller wirelessly, talk to 12 devices on the Smart Ports, update the LCD and have time left over to run the students programs. It does all this with a custom built operating system developed just for VEX IQ that gives the students' programs 98% of the processer's power, able to perform calculations in 0.00000001 seconds. All of this technology works together to make a Robot Brain that is simple, flexible and powerful. 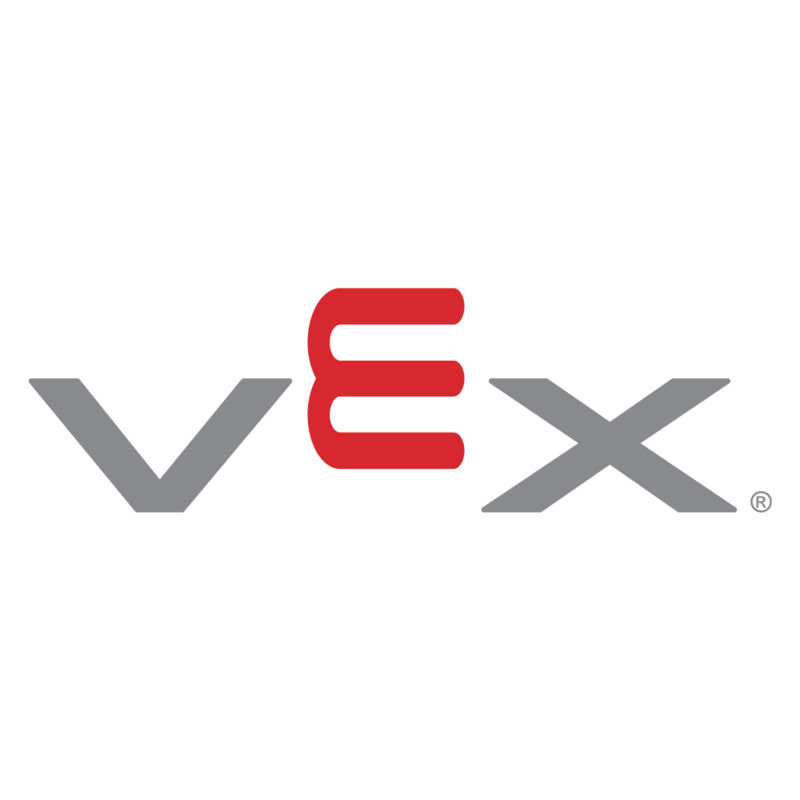 The VEX IQ system makes Firmware Updates quick and easy. All electronic components can be upgraded including the Robot Brain, VEX Controller, Smart Motors, and sensors. See the Firmware Update page for more details and to download the VEXos Utility.